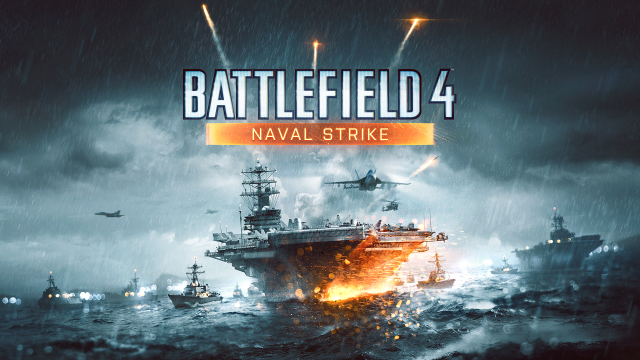 DICE announced today that "Naval Strike", the third expansion pack for Battlefield 4, arrives on March 25th for Premium members and April 8 for all. 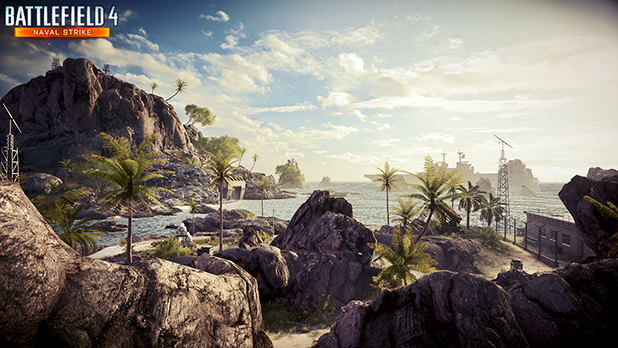 Battlefield 4 Naval Strike expansion pack takes the all-out war to the sea. 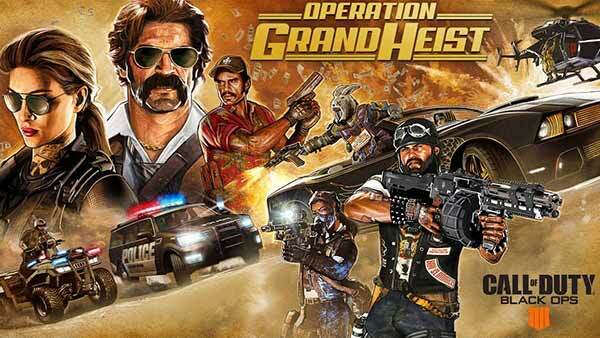 Players will have access to new weapons, gadgets, and amphibious vehicles, and four all-new maps – Lost Island, Nansha Strike, Wave Breaker, and Operation Mortar. 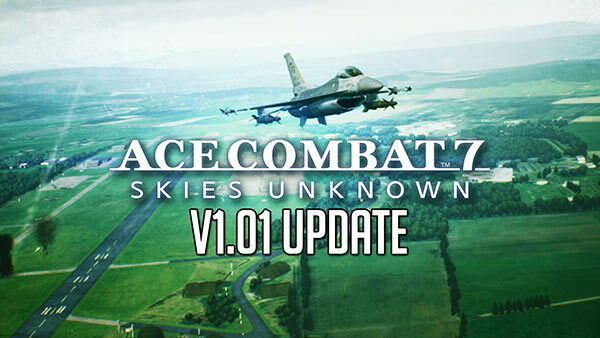 Check out the official trailer and learn more about each of the maps below. 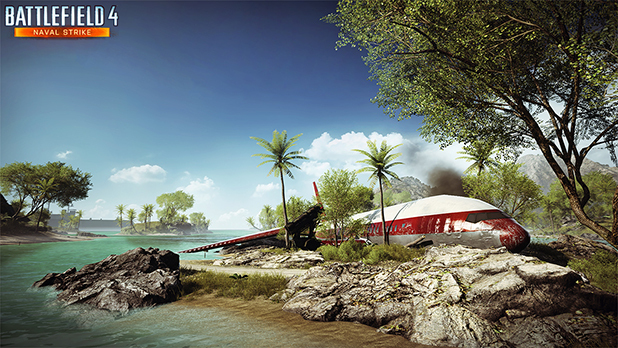 Starting with Lost Islands, this map focuses around a crashed airplane located near the center of the map. The map itself contains several small islands surrounding the crash site that can be traversed using quad bikes around the whole map, or by using boats (including the new hovercraft) to take shortcuts across it. The key to master this map is to control the plane at the crash site, which can be blown open to give infantry some much needed cover. Another special area of this map is the cave blanketed by a waterfall, as it provides visual cover for patrolling boats and helicopters. Nansha Strike is a very boat heavy map with several bases spread out in the water to battle it out on, while at the same time allowing total infantry control of the middle areas. The central area provides a lot of cover for infantry and is a death trap for water vehicles if they try to enter it via the small rivers. The surrounding bases can be captured from the water, with some offering big bases in the middle of the sea for infantry. This is where the more powerful vehicles spawn, which makes them key to own and control. Wave Breaker has a unique submarine base hidden in the middle mountain which allows for tight close quarter combat, but it also has wide canals where it’s possible to do drive-bys with the attack boats to add extra mayhem to the mix. The middle area has many different Levolution possibilities. You can for instance bring down a submarine from its support and turn off the lights in the surrounding corridors. It’s also possible to stop boats from entering the area by closing the four flood gates and blocking the direct path from the bases on the two sides. 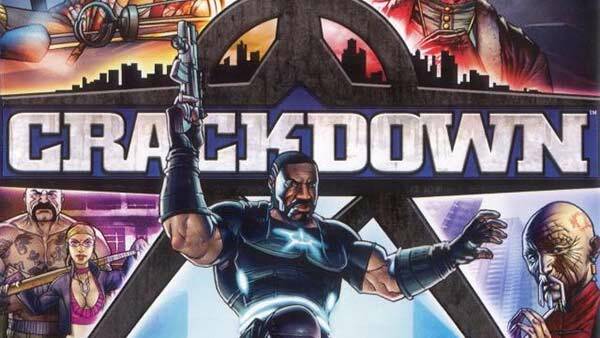 The middle island will give players intense fights in Deathmatch modes. 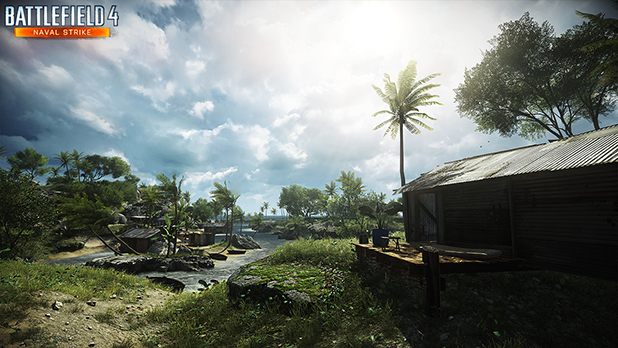 Operation Mortar is our vacation paradise turned into a war zone, with wooden huts surrounding the islands. There is an old fort on the top of the mountain, which provides a great overview over the whole map. It also gives the team owning it a fast way to capture the other bases on the main island. 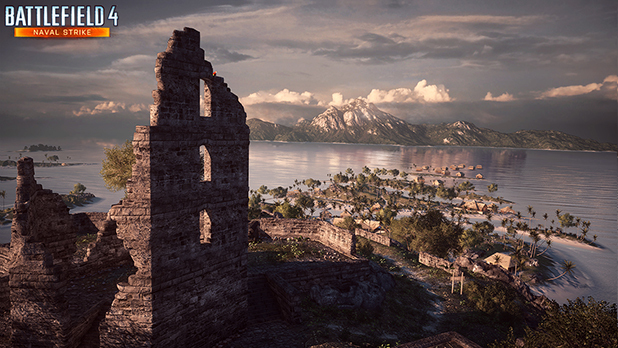 In Rush, this levels starts from the bottom of the islands and goes up towards the fort, providing interesting and fun vertical gameplay which will provide a big challenge for attackers. 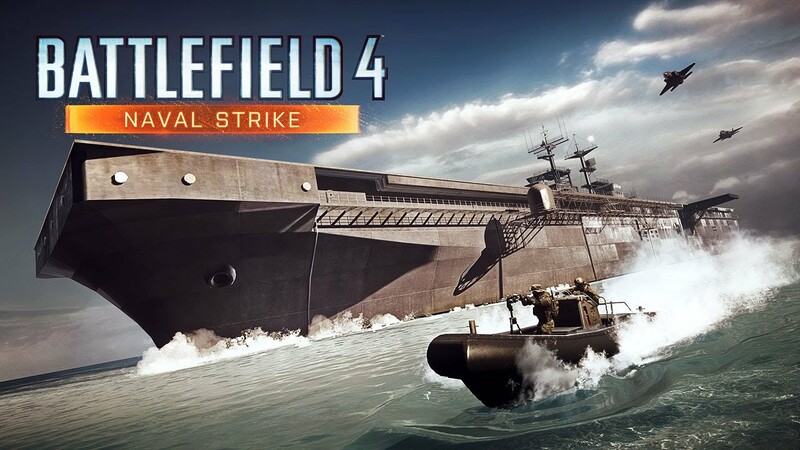 Battlefield 4 Naval Strike will be available first for Battlefield 4 Premium members on March 25 and April 8 for all. 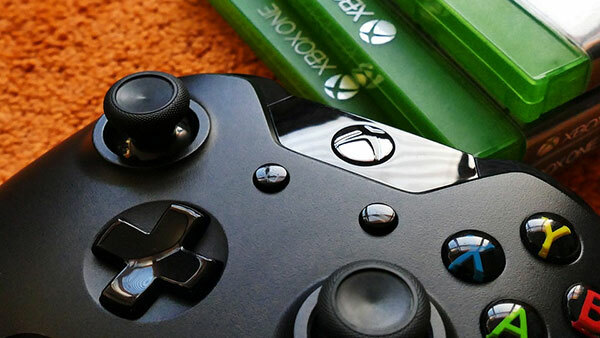 Until then, check out all of our Battlefield 4 coverage via the games database and don't forget to join the official XBOXONE-HQ Battlefield 4 Platoon on Battlelog.